the brief / To develop an uncommon perspective on a chosen topic. The process would emphasize a creative development and a successful creation and utilization of a functional design. 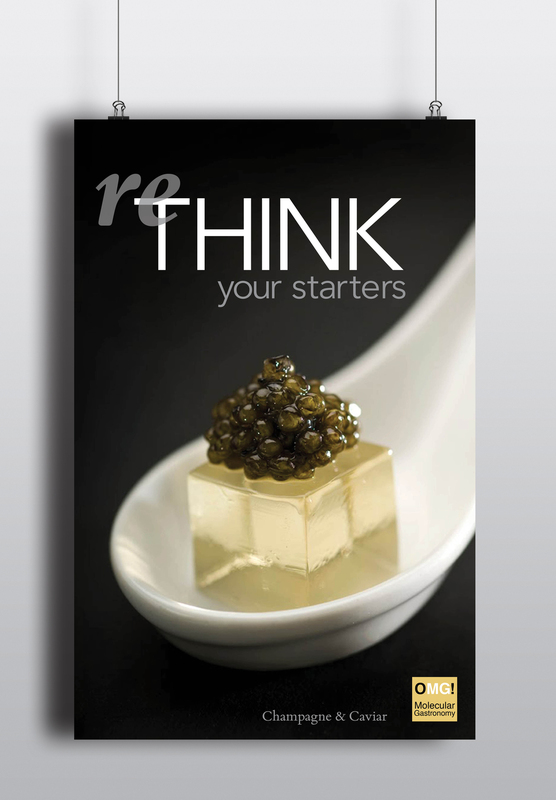 the reveal / I choose the topic of molecular gastronomy and how to make it more accessible to the everyday consumer and not just to the elite. I created a starter kit with basic chemical compounds for people interested in getting familiar with this type of cuisine. I also created various pieces of collateral items to go along with the kit; from posters to postcards and recipe cards, to make molecular gastronomy more approachable, engaging, and fun.